From around the web, here’s some sites that look cool. Let us know if you find others that work for you! 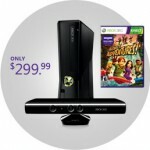 Check out Xboxxer is a blog covering the gaming console Xbox 360. Bloggers Jeanne Dupuis and Jyle Dupuis provide game reviews and information on upcoming releases for the console. For more information, visit www.xboxxer.com. Admit This! is a new blog covering the college admissions process. It serves as a resource for students on how to apply to college and get accepted. The blog is authored by college admissions expert Dave Berry. For more information, visit www.collegeview.com/admit/. If you’re interested in checking out The USC Annenberg School of Journalism, they have launched a new Web site. Neon Tommy provides a mix of local and regional stories covering issues in Los Angeles as well as columns and articles covering national and international news that impact the whole country. Visit www.neontommy.com. Blizzard World of Warcraft Wrath of the Lich King. Released November 13, 2008, Price 39.99 It is a cd used on a Mac or a PC. This is an Action adventure game and is a fantasy. The object of the game is to reach higher levels by defeating monsters and other creatures. Because World of Warcraft is an online game and many people are playing at the same time, the game is more fun and more interesting. 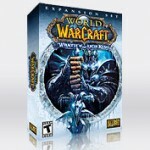 World of Warcraft costs 15 dollars a month. It’s possible that you could get hacked but if you contact Blizzard they will get your stuff back. What makes World of Warcraft different is that you don’t have a number of lives and the game never ends. It is a good game and it is easy at the beginning but gets harder as you get further into the game. SPORE’s DRM setting make users trash the game! New from the creator of the popular “The Sims” and “SimCity” videogames, is “Spore.” It’s great reviews are indicative of its status on Amazon.com as well; the game has rocketed to the #1 spot on the site. But all is not well in the word of mouth world for Spore. Digital Rights Management (DRM) settings on the game, which allow installation of the game only three times, have gamers in an uproar. Their [huge] response: trash the Amazon rating of “Spore.” At last check, 92% of the over 2,000 ratings were a measly one out of five stars.